Earlier today Left Foot Forward published a leaked document from the Department for International Development showing a list of nearly 100 public commitments recommended for the chop. But behind the headlines, International Development Secretary Andrew Mitchell’s “focus on outputs and outcomes” raises two key questions. Firstly, if close to 100 ‘input’ based commitments are to be dropped – what are the ‘output’ based commitments that will replace them if DfID is to avoid failing its commitments to the world’s poor? The Coalition Programme committed DfID to support actions to achieve the Millennium Development Goals (MDGs) by prioritising aid projects that ensured access to clean water, sanitation, healthcare, and education. Fast forward two months, and DfID is proposing to drop commitments to spend £8.5 billion on education, £6 billion on health, and £1 billion on water and sanitation. And not just ‘inputs’ too – output-based commitments to help 8 million children go to school in Africa and 55 million people gain access to water and sanitation too. So how exactly is the Coalition to make progress on the MDGs in the absences of these commitments? The signs are worrying. The upcoming UN Summit on the MDGs should be an opportunity to continue Britain’s leadership in this area. Yet despite repeated questioning in Parliament, the Coalition has failed to set out clear red-lines and objectives for the Summit, merely talking about how they seek agreement on an ‘action agenda’. 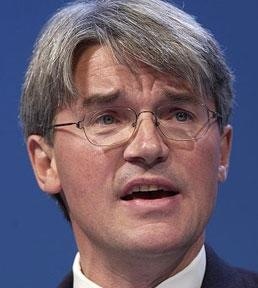 In a Parliamentary Answer Andrew Mitchell admitted that he and Nick Clegg have only met once formally to discuss the Summit. Secondly, why the obsession with “outputs”, when DfID is already considered a world leader in aid effectiveness? In addition, the One campaign’s 2010 Data report outlined that “the UK leads all other G7 countries on ODA [aid] effectiveness”. Today’s leaked documents are deeply worrying. DfID’s recommendation to drop key commitments is bad enough – but Mitchell’s push for ‘results’ is a crusade against straw men that risks trying DfID in knots, reducing the effectiveness of UK aid and failing to achieve the one thing he seems to care about most – value for money.